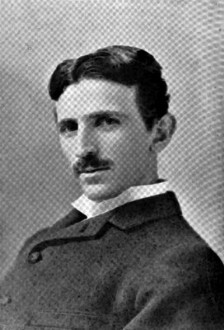 Nikola Tesla - was a scientist and inventor who produced many important devices and inventions. "Let the future tell the truth, and evaluate each one according to his work and accomplishments. The present is theirs. The future, for which I really worked, is mine." "I do not think there is any thrill that can go through the human heart like that felt by the inventor as he sees some creation of the brain unfolding to success... such emotions make a man forget food, sleep, friends, love, everything." "Invention is the most important product of man's creative brain. The ultimate purpose is the complete mastery of mind over the material world, the harnessing of human nature to human needs." "Originality thrives in seclusion free of outside influences beating upon us to cripple the creative mind. Be alone—that is the secret of invention: be alone, that is when ideas are born." "There is no memory or retentive faculty based on lasting impression. What we designate as memory is but increased responsiveness to repeated stimuli." "I know that you are a noble fellow and devoted friend and, noting your indignation at these uncalled-for attacks, I am afraid that you might give it expression. I beg you not to do it under any condition, as you would offend me. Let my ’friends’ do their worst, I like it better so. Let them spring on scientific societies worthless schemes, oppose a cause which is deserving, throw sand into the eyes of those who might see - they will reap their reward in time...."